Who doesn’t love a view? Few sights surpass blue mountains stretching across the horizon beneath an endless sky. In my part of the United States, you can easily see such a view by pulling off at an overlook along the Blue Ridge Parkway, a 469-mile scenic road that begins in Virginia and winds its way down through North Carolina. Sadly, I take this view of undulating blue hills for granted. In fact, my original plan for Photography 101’s Landscape theme was to drive out to Max Patch, a bald mountain on the Appalachian Trail. Situated on the North Carolina-Tennessee border, Max Patch offers an amazing 360-degree view of the surrounding mountain groups: the Bald Mountains, the Great Smokies, the Unakas, the Black Mountains, and the Great Balsams. You need a video camera to capture the astonishing scenery at Max Patch. June 2011: A partial glimpse of the 360-degree view at Max Patch. Click here for my unsteady video of the view. Life interfered with my plans for a panoramic photo at Max Patch, so I chose an easy — and obvious — option for a landscape picture: the Haw Creek Valley Overlook on the Blue Ridge Parkway. En route to the overlook, my son and I made an unscheduled pit stop at the Blue Ridge Parkway Visitor Center. 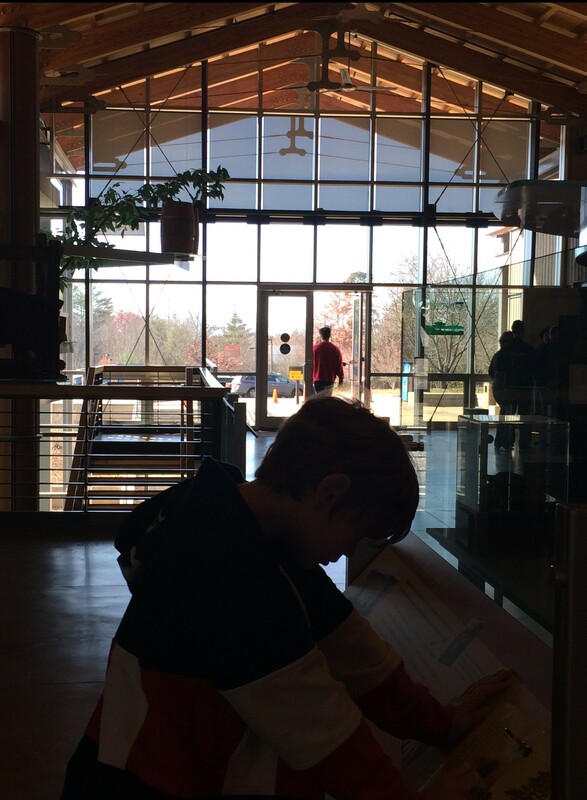 This was my first time inside the Visitor Center, where several hands-on exhibits caught my son’s eye. Meanwhile, my eyes were drawn to William Blake’s words — “Great things are done when men and mountains meet” — emblazoned across a photograph near the entrance. In this context, Blake’s statement is lauding the Blue Ridge Parkway as a “great thing” achieved by the conjunction of men and mountains. Construction of the Parkway began in 1935 as part of President Roosevelt’s New Deal and was finally completed in 1987. In every subsequent year since 1946, the Parkway has been America’s most visited national site. As the longest linear park in the United States, the Parkway annually gives millions of visitors access to campsites and hikes, vistas and waterfalls, wildflowers and trees. 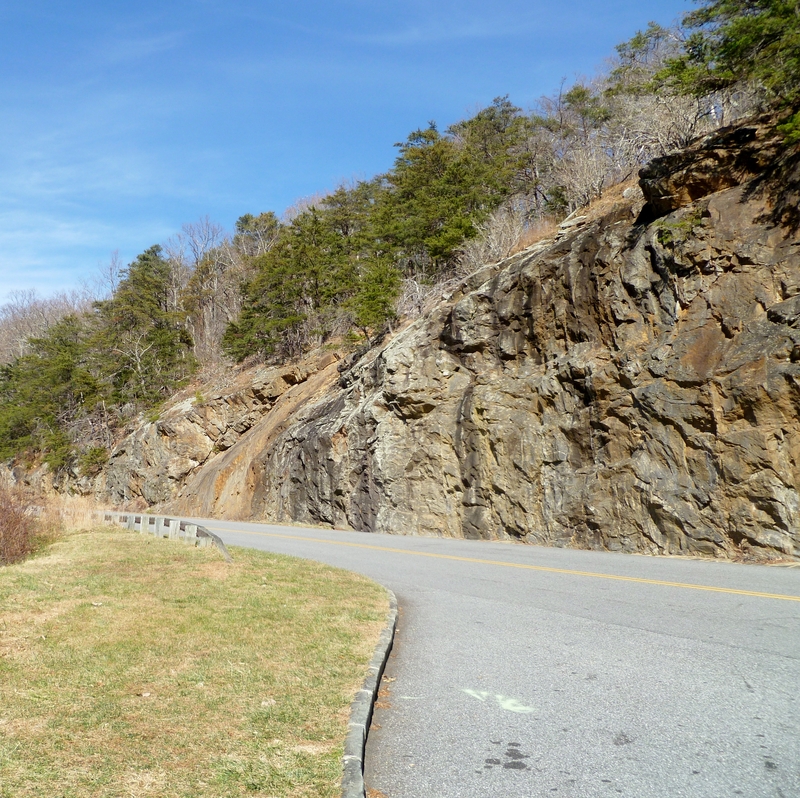 The Blue Ridge Parkway is a remarkable achievement. 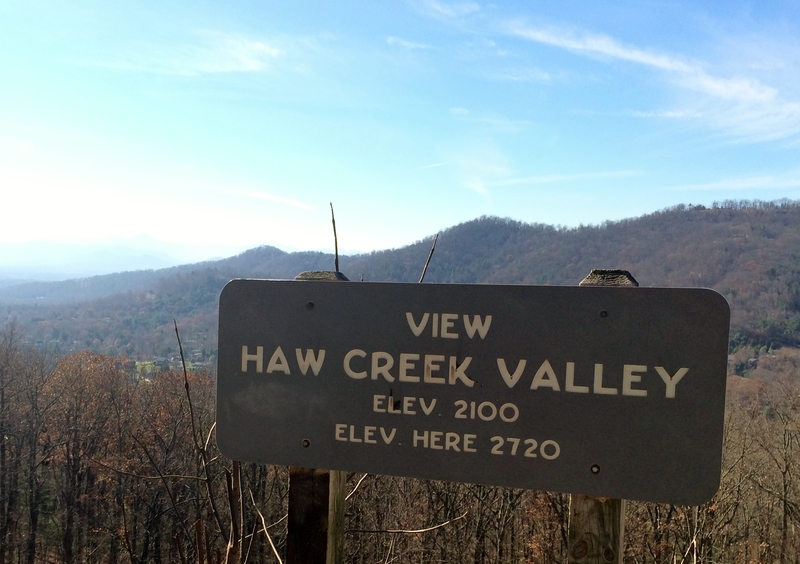 As someone who benefits from the Blue Ridge Parkway, I am torn between sympathy for the mountain farmers whose property rights were overruled and gratitude for the engineers and CCC workers who made the mountains accessible to everyone. Because farmers like Miller sacrificed their land, the mountains bordering the Parkway are now a place for refuge and reflection – a beautiful place that provides recreational opportunities and inspires artists and writers. In my reading of Blake’s epigram, he was not thinking of a specific “great” achievement when he wrote, “Great things are done when men and mountains meet. / This is not done by jostling in the street.” A Romantic poet who hated the ugliness of industrialization and wrote of England’s “dark Satanic mills,” Blake is speaking here of that sense of wonder and awe that descends upon us when we gaze on a landscape too large for our circumscribed minds to comprehend. Blake lived in London all his life — amidst the jostling of nineteenth-century London’s dirty, crowded streets.The great thing for Blake would have been solace for his soul and freedom for his thoughts as he gazed upon mountains. Does the creation of a public treasure like the Blue Ridge Parkway justify the high price paid by Miller and many others? Thinking of the countless visitors who have gazed in wonder at views along the Parkway, I would answer, “Yes” – but, then, it wasn’t my land. 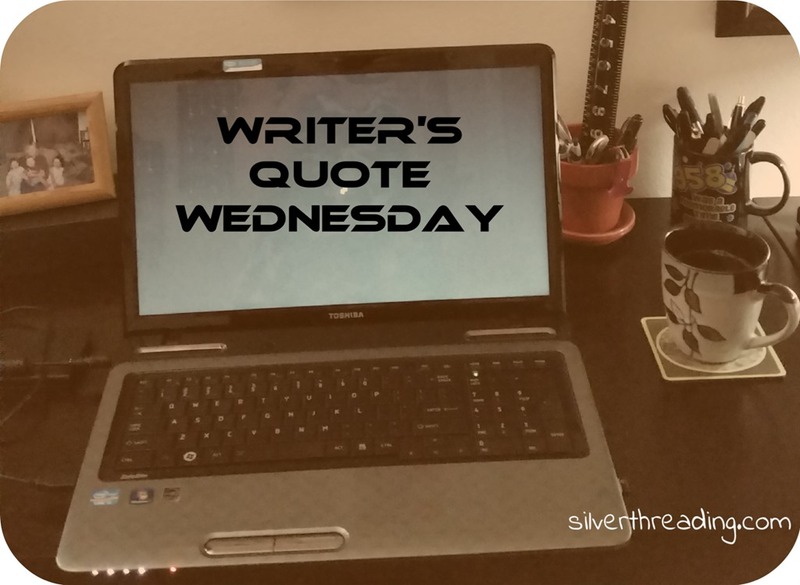 Thanks to Colleen at Silver Threading for hosting the weekly Writer’s Quote Wednesday event. All photographs were taken by Sandra Fleming in November 2014, with the exception of the Max Patch picture, which was taken in 2011. An iPhone 5s was used for the panoramic photos and overlook sign, while a Panasonic Lumix was used for all other photos. Text and photos copyrighted 2014 by Sandra Fleming.